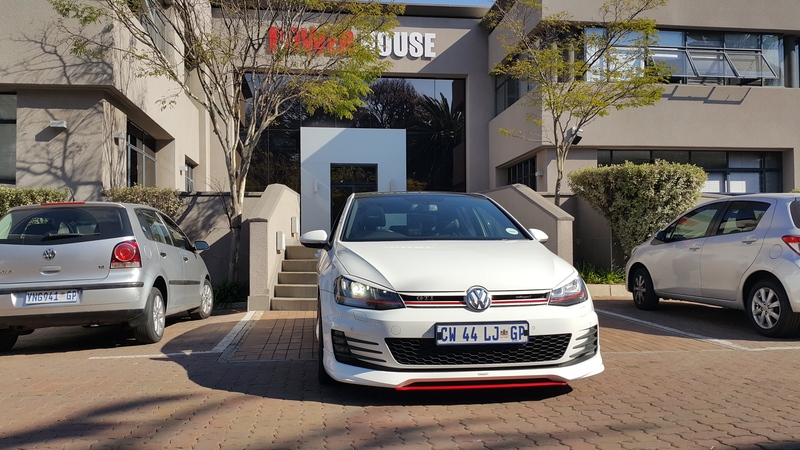 This week, we take a look at the incredible VW GTI Golf 7 with an Oettinger performance pack, suspension and body kit. This is car is like a jet! For those of you reading my blog for a while now, you will know that there is a little devil on my left shoulder, that edges me to push whatever car I drive, just a little more than I should. 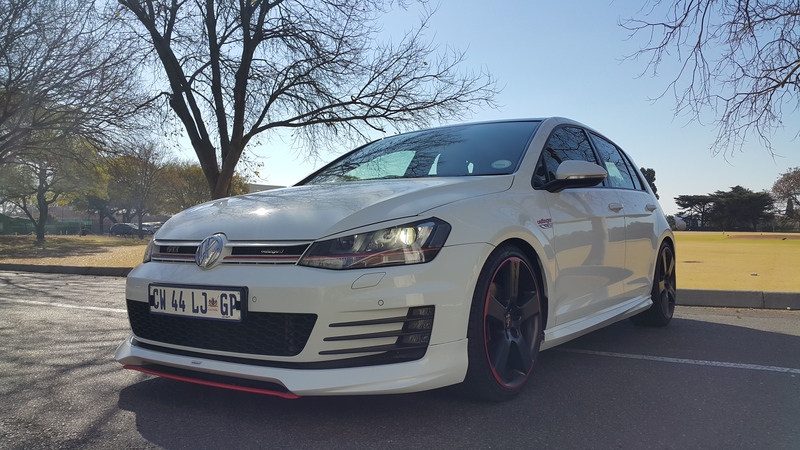 In this case, the Oettinger SPEC GTI takes a very humble 169 KW and turns the volume up to 222KW! Oettinger stitched detail on the headrests. Oettinger mats. Little Oettinger stickers all over the car. 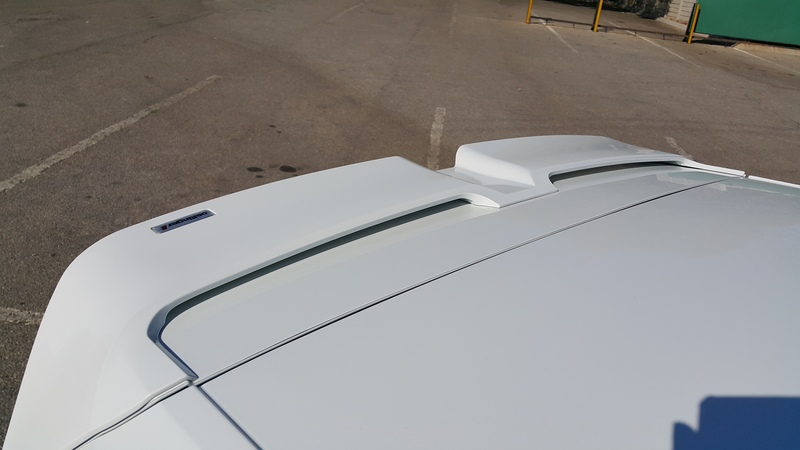 A Front bumper air-splitter in two finishes and a rear roof spoiler with indents subtle enough to be understated! 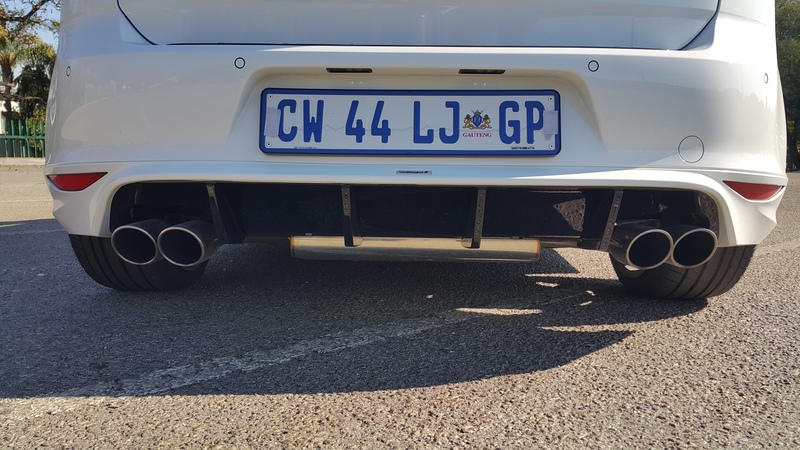 A Back bumper kit, with 4 oettinger pipes – what more do you need in a GTI? The interior of the GTI is very well laid out, functional and for an intents and purposes, built for a car that will be driven by someone in their earlier Adult life. For those of you that grew up driving Citi Golf, or if your dad or mum had a Jetta or Passat, along the line you get to understand just what VW stands for. In this case, it is very different to the cars built back then. I haven’t felt this much joy driving a VW since I was in high school, and we were driving a VR6 back from the Matric Dance Jol! It was such a blast, I think I had more fun driving home than I did at the Dance ( my partner had food poisoning – and I had to hitch a ride with a neighbour to the dance). But all of that aside, what stands out for this specific VW, is that it makes a very clear statement about where VW is heading in general with their 2 hot VW`s on the market now. Both the GTI and Golf 7 R make a lot of noise, go very fast, and yet are not uncomfortable in any way. They have loads of space. They have a decent size boot, and as you saw in Top Gear, if you need to carry a RPG or nuclear bomb in a crate of the car, you can. What is becoming clearer and clearer to me, is how much people love VW in South Africa. Driving this car only for 1 day, I had been stopped at every robot, petrol station and shop that I went to on the day. Even in the middle of the day, taking some pics at my local GYM Old Eds, I had 3 different guys ask to see that car, know what the power rating was and ask when I got it? The design of the GTI in general is faultless. The seats could be a little too firm, with less support than say a BMW 1 Series 135 I, but they are general liveable. 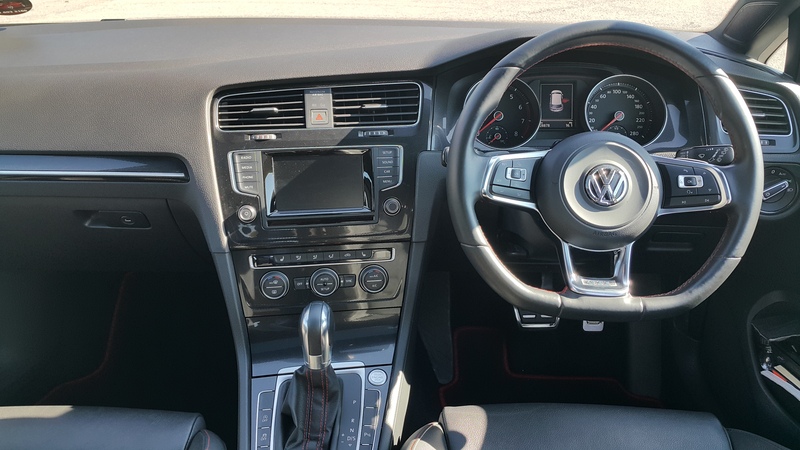 The interior and Dash are very clear to read, and at all times, it seems like this car is very quiet – except when you thrash down the loud pedal! 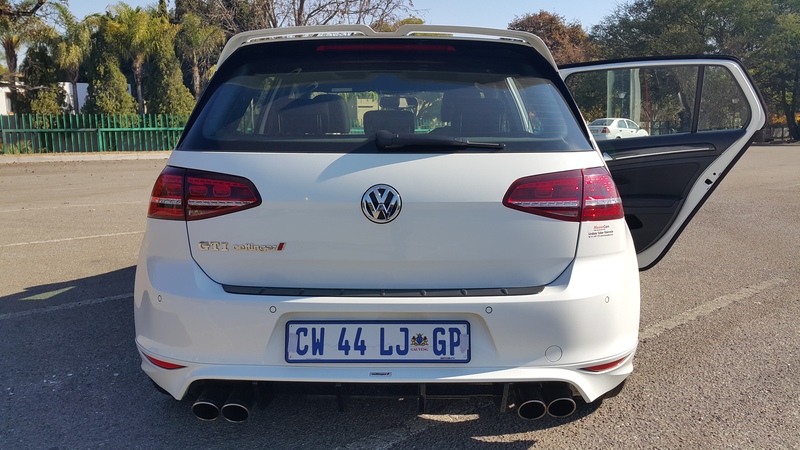 The rear legroom is decent enough to carry your mates, and if you and your partner need to head away for the weekend, even with the Oettinger conversion front air-splitter, it isn’t as low as the Oettinger Scirocco we drove down to Durban a few weeks back. This is the kind of car that will stick out in any parking Lot. The GTI is the cool kid in the back of the class, played Rugby and was Head Boy, plus got 6 distinctions in Matric – not bad at all for people who like to WIN! in Johannesburg and Durban choose VW instead of BMW or faster Merc AMG hatchbacks. There is something unique about VW, and I am not about to even attempt to put my finger on it. If you have a VW, share your comments below, with what makes you and keeps you a fan! A Power Car in front of Power House. The home of 98.7 Power FM. Really great radio station, fallen in love with Iman`s show from 9am to 12 pm daily. There is also a car show insert on Monday from 11 to 12. Great radio! 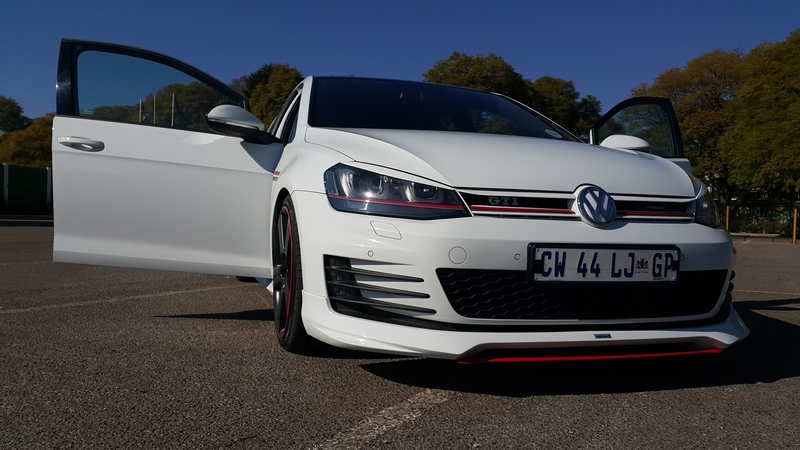 On this specific GTI the car has been tuned up from 169 KW to 222 KW with Oettinger. The beauty of using this specific type of tuning product, is that you don’t have to have any stupid conversations about not tuning your car, when you take it in to Lindsay Saker Edenvale. Fabio and his team, live for the Rush for Oettinger and VW. Your warranty for this specific product runs for 2 years, and if you think that a R 5000 modification is safe for your VW, then you could be under some illusion. I have personally witnessed in the past 3 months, guys pushing their cars way passed 8000 rpm`s, and then a month or two later, take the same car with all the mods taken out, to get it serviced at a dealership. This is the only product in SA that is guaranteed for 2 years, is made in Germany by Germans that drive VW, and covers up to 100 000 kms. That is a huge risk for any company to undertake, and that is basically what you are paying for when you choose Oettinger. Rather should I say, when Oettinger chooses you. Tuning is definitely not for everyone, and if you reading this and wondering why there is so much hype worldwide about it, you need to understand that you can push a very basic car, very very fast – with just a bit of work and capital. As an example – Porsche, Ferarri and some premium BMW or MErc models, retail for over R 1 000 000. The difference here is for under R 500 000 you get a car that could definitely keep some of those German and Italian rivals up at night. The R400 and R500 are close on our watch, so keep following the blog and we will feed data to you straight from VW AG and SA direct to you! Changing this car up and down is very simple. The DSG box is very responsive, and the flappy paddles are now something that I am starting to wish for on my own car. Especially with all the mad traffic that we have up here in Johannesburg. By the team you are off home from work, or off to a client meeting after an accident, you want to do so effortlessly and quickly. 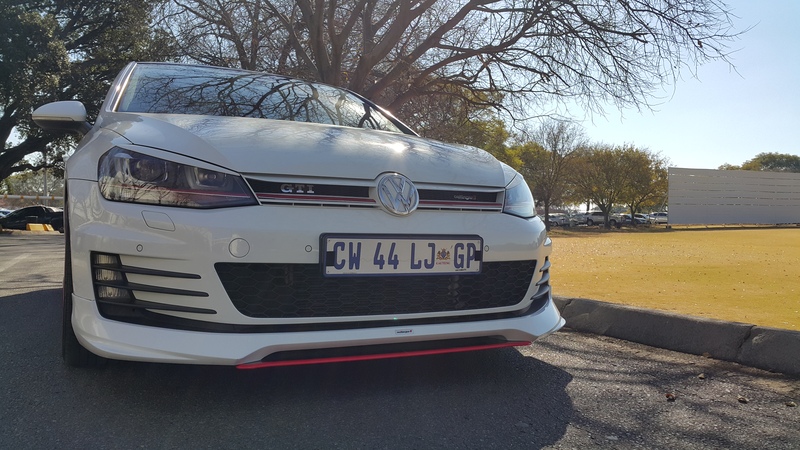 With the Oettinger GTI this is achieved with an incredible amount of power. Even at 4000 and 5000 rpm, the car is ready to take you to wherever you need to get to, and very safely at that I might add. I did feel that the suspension set up was a bit firm, but this is because you may want to use this car on the track too on weekends. The feeling driving it is very light and easy. You won`t believe how much noise this car makes, changing up and down and how much power it has throughout the rev range. It is phenomenal. 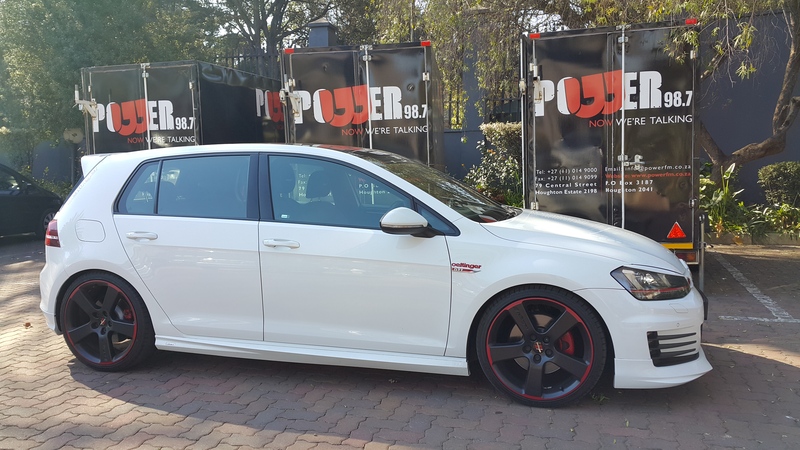 I took some guys in the car, that have a 2014 standard GTI and then this car, and they couldn’t believe the difference in power and feeling of the drive. Be prepared to pay for Fuel – I got 15l/100 km, this is driving like a bat out hell. Driving a bit more calmly, you will get 6.5 l/100 km`s, this is achieved by driving at 120 km/hr and sticking to the rules of the road. I have emphasize the speed of this car, you wont realize when driving at 140. Ask any GTI driver and they will just nod. At the end of the day, you need to drive a car that makes you happy. 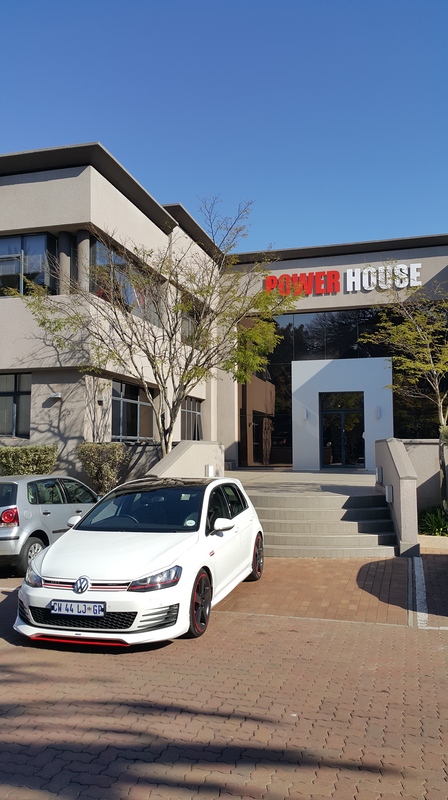 If you are looking for speed, are a VW fan and love the GTI – then perhaps you need to get to VW Lindsay Saker Edenvale as soon as you can. 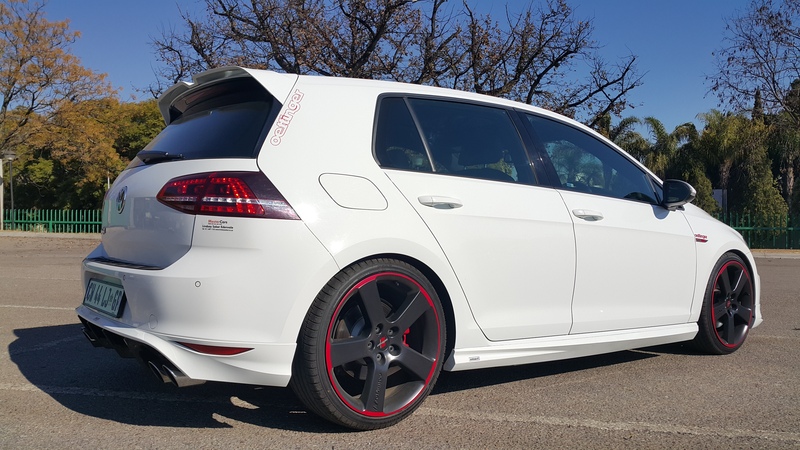 Modifications starting from only R 20 000 for basic tuning work, all the way to R 100 000 to turn your VW 6 or 7 to an absolute monster. Every single time I changed this car up or down, even when slowing down to a robot, every single person in every car around me looked at the GTI and gave it a nod. 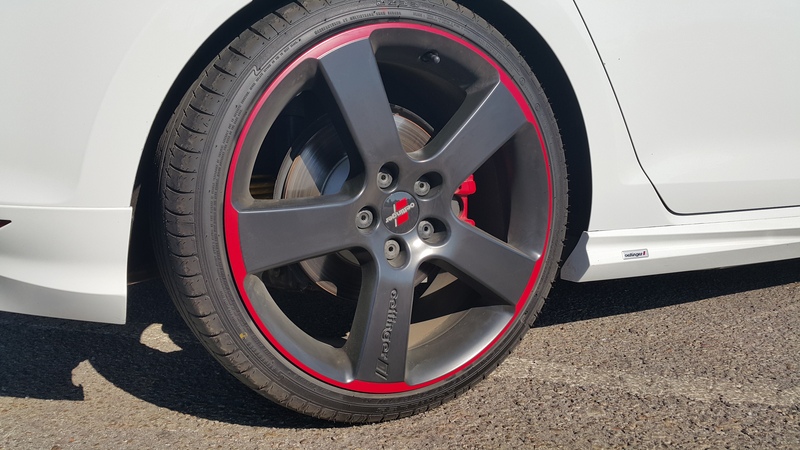 For this work to be done, you can finance all mods through MFC with Lindsay Saker Edenvale – and as far as I know not too many tuning shops are for normal folk who may not have R 200 000 in a checkers packet somewhere. So you can finance it, it is covered under Lindsay Saker, and for 2 years, that is just enough time to buy a new car, drive it and then trade up for a better model later. Remember that most folk in SA keep their cars for 2.5 years, and just over 30 000 km`s, so keep that in mind when you buy your next car. At least with VW, your trade in value sticks – unlike BMW where my BMW 320 D and 320I lose value quicker than the Rand during credit rating downgrades. 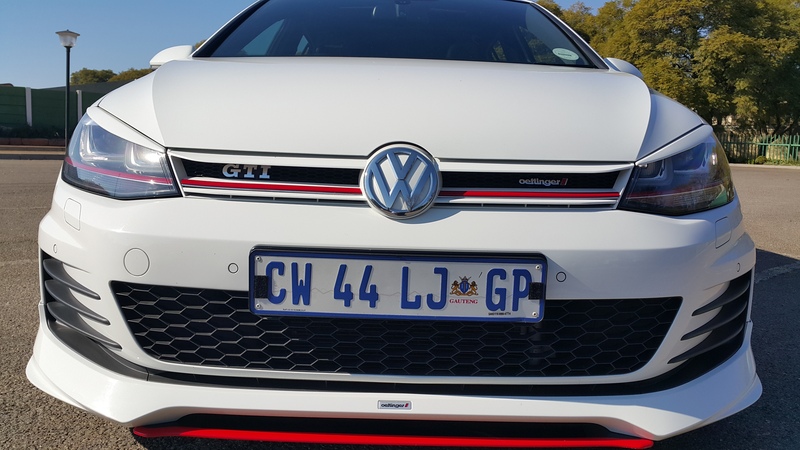 The car retails for just R 475 000 – includes all the Oettinger conversions done, plus the warranty that applies for both VW and Oettinger respectively. On the road charges are R 4500 – for delivery. This specific car has 32 000 kms on it and is a 2014 model. 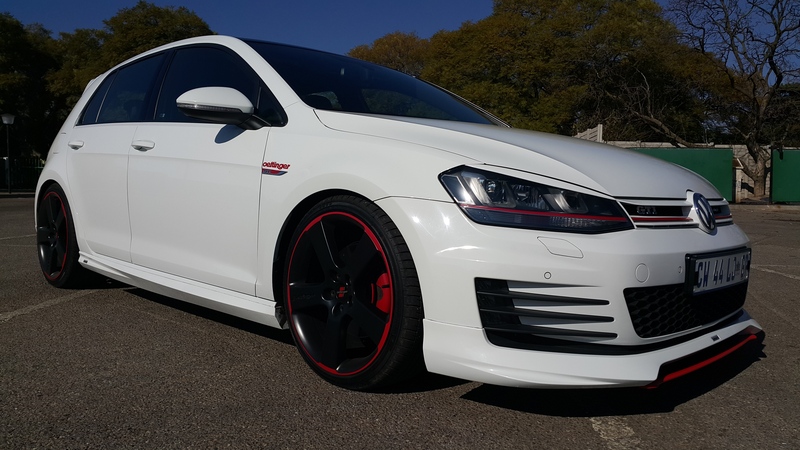 VW 2014 Golf 7 GTI DSG with Oettinger Kit – suspension, body kit, rims and engine tuning. Once again a very quick thanks for Fabio – DP from Lindsay Saker, for allowing us to test drive this amazing car! Will definitely be working more on VW & Oettinger blogs – thanks to all our readers and the mad love we have gotten from VW Club SA and others! Also thanks to Power FM for letting us shoot some quick pics, listen in to Imans show Mon – Friday from 9 to 12. Car Show on Monday between 11 to 12 in the morning. Really, really great radio show! Talk & Music. This entry was posted in Car Blog. Tagged 2014 GTI, 222KW, Car Review, Car Review Johannesburg, Car Test, Driver Review, Edenvale, Germany, Golf 7 GTI, Greenstone Mall, GTI, GTI Golf, Johannesburg, Lindsay Saker Edenvale, Oettinger GTI, Oettinger Speed, Oettinger Warranty, South Africa, Speed Racer, VW AG, VW Lindsay Saker, VW Lindsay Saker Edenvale, VW Oettinger Kits, VW up, White GTI Oettinger. You can call Fabio to go through all the options. MFC is the main house, providing finance on the Oettinger kit. Will send you a mail with details shortly. Have a super Friday ahead! Well done on the purchase! I want the upgrade for? 2. If you dont install something that VW Lindsay Saker Edenvale would, the question is around warranty. Can any other supplier in SA, fit something to your VW and still offer you a Warranty. I believe fully in German products. Having spent time there for work, I understand why their production and manufacturing is so good. Its less about quick fixes to power issues, and more about how long you can keep your Baby 7 safe, in the arms of Oettinger. I recently bought a G7 gtiand would like to know more about the oetti ger conversion kitand finance options.